In a decision that could impact not just the fast food business, but all chain retailers that use the franchisee model, the National Labor Relations Board Office of the General Counsel announced today that McDonald’s can possibly be held responsible for franchisees’ bad labor practices. McDonald’s and many other franchised businesses have long used that corporate/franchisee arrangement to distance the company from bad actions by individual store owners. The corporations have long argued that they are merely licensing their brands and products to these franchisees, who are then responsible for complying with laws regarding hiring, wages, hours, and the like. But the NLRB General Counsel contends that McDonald’s HQ exerts such an influence over its franchisees that it should be treated as a joint employer alongside the franchisees. For example, in 2013 a Pennsylvania McDonald’s franchisee was thrust into the spotlight when an employee complained about allegedly being forced to accept her wages on a prepaid debit card. In this instance and in other labor-related gripes, McDonald’s HQ claimed that all wage decisions were made by the franchisees. Today’s NLRB decision would make it much more difficult for the company to put all the blame on a rogue franchise owner. The General Counsel decision doesn’t necessarily set a standard for all franchised companies, but it does mean that McDonald’s HQ will have to defend itself in at least the 43 current McDonald’s-related cases that the General Counsel believes have merit. Not surprisingly, McDonald’s says it intends to fight. 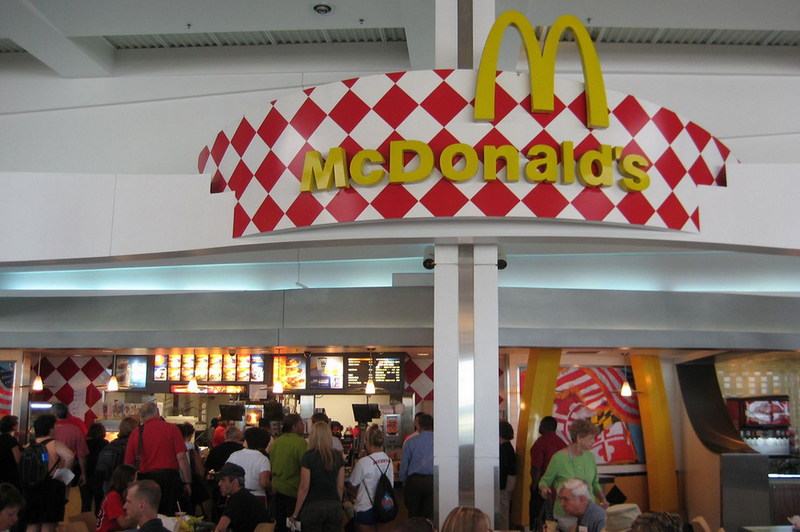 Before today, the NLRB General Counsel had 181 McDonald’s labor complaints to review. Sixty-eight of those cases were deemed to have no merit and 64 are still pending investigation. Previous Which Is Worse To Get Caught Drunk Eating On Video: Styrofoam Or Chips Off A Train’s Floor?